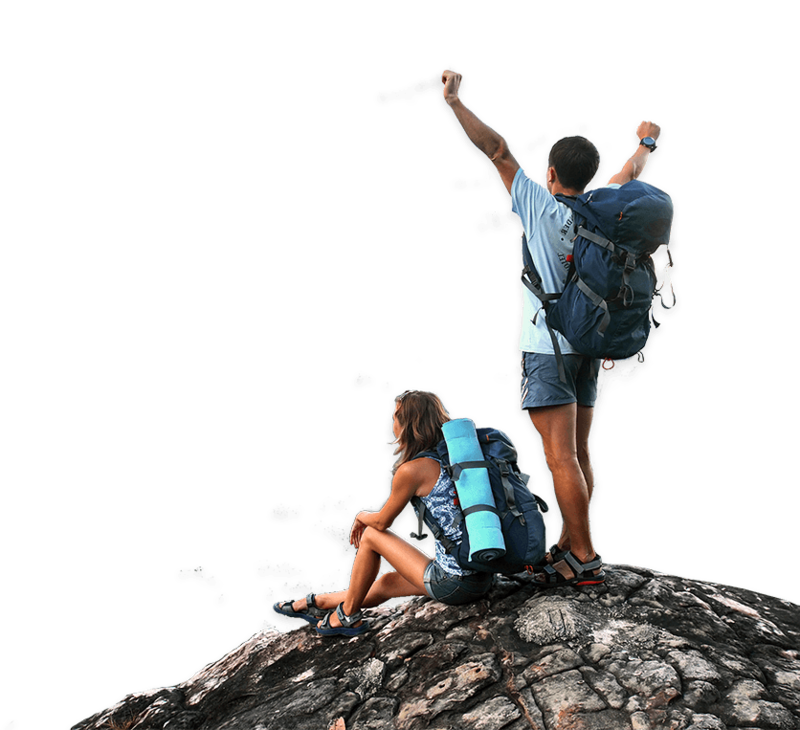 An All-In-One Quick Pitch and Pack Solution – up and down in seconds! 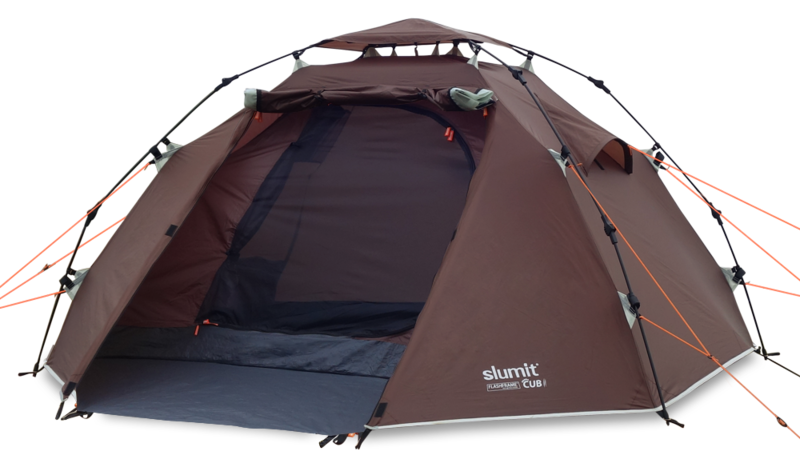 The Original Slumit® FLASHFRAME™ since 2008, as demonstrated on the CUB 2 (two berth), dual layered, waterproof (3000mm HH), 3 season camping tent. 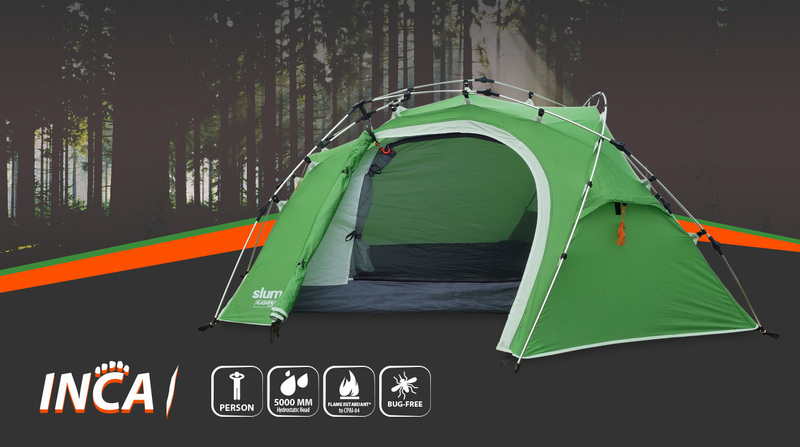 Tailored around the FLASHFRAME™ Quick Pitch and Pack System, the high-spec INCA 1, CUB 2, GOBI 3 and GRIZZLY 4 offer a fast, hassle free camping experience not to be overlooked. 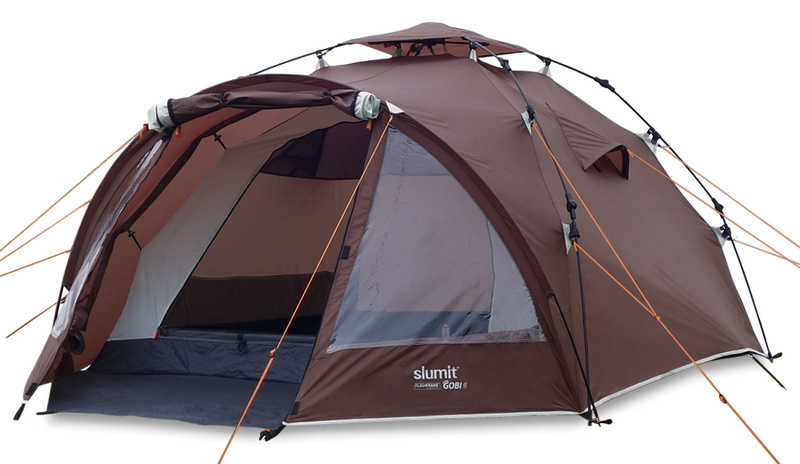 The Slumit brand and associated products are lovingly designed and distributed by a fun team of camping aficionados – we call ourselves “The Slumiteers”! 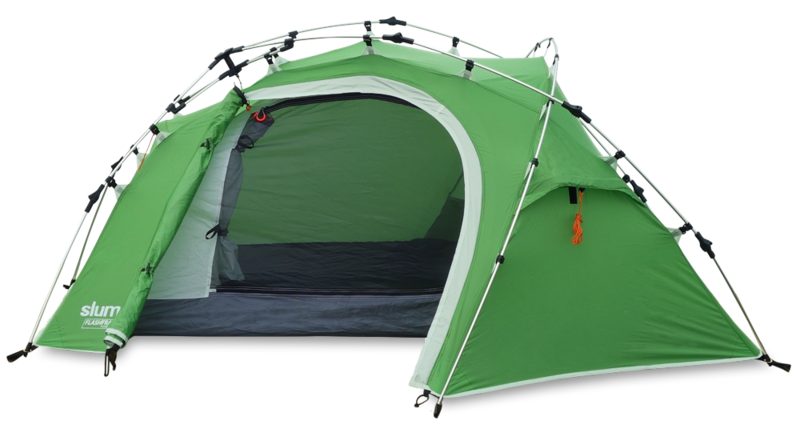 Back in 2007 we set out to develop and design a quirky brand and range of products that could faithfully serve other outdoor enthusiasts, without the hassle and aggravation that often comes with camping and using a standard pole and sleeve tent.